Last few months I got busy with SAML2 and Weblogic 12c as Service Provider. One with ADFS and another using SurfConext as an IdP. In both cases a HTTP server is used as a reversed proxy, in one case it is Oracle HTTP Server 12c, in the other we use Apache. Although OHS is based on Apache, of course, it has the Weblogic proxy plugin enabled by default. With Apache this is not the case. So there are a few things to consider. The Managed server needs to ‘know’ that the End User approaches the application over TLS (HTTPS), although the HTTP Server ‘offloads’ the security. During the SAML authentication, Weblogic and the Identity Provider redirect the browser back-and-forth to authenthicate and eventually process the saml token. In the end the browser should be redirected to the application. If Weblogic does not ‘know’ the application is approached via an HTTP server over HTTPS, it might redirect to the HTTP channel. To solve that, the HTTP server should use the Weblogic Proxy Plugin. 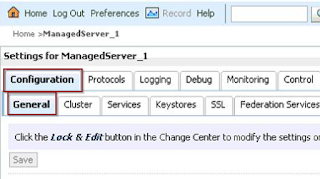 To configure that, see Oracle® Fusion Middleware Using Oracle WebLogic Server Proxy Plug-Ins 12.1.2 - Configuring WLS Web Server Proxy Plug-In for Apache HTTP Server. To make use of the Weblogic proxy plugin, so that the AdminServer considers it, you need to tell it that it is 'fronted' by it. You can do this on domain, cluster and managed server level. See also this A-team blog. In recent upgrades of Weblogic, the checkbox is replaced by a pulldown list. Another thing is that the URL that is used in the browser to connect to your application is the HTTP Server's host, not the Weblogic host. Also, propably the HTTP Server listens on port 80 (HTTP) and 443 (HTTPS), while your managed server might listen on a port in the 7000, 8000 or 9000 ranges. But in the redirects, Weblogic has to redirect the application to the HTTP Server, so it needs to know what that address is. This registered in the FrontEnd Host. 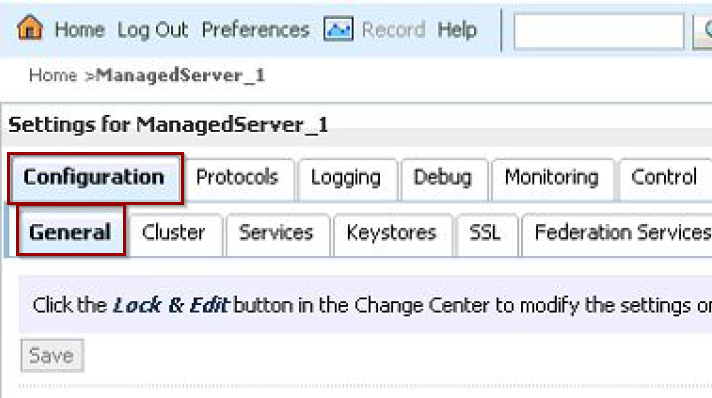 This is also a setting that can be set on both Server and Cluster level. To set it on Server level, go to that server, tab Protocols->HTTP. Then set the Frontend Host and the ports to the particular values of your HTTP Server. Setting the Frontend HTTP Port to 0, means that the port is not fetched from the Header. So it will use the Managed Server port. However, the configuration of Apache (using the Weblogic Plugin) should be such that HTTP is not routed, but only HTTPS should be passed through. Otherwise set the HTTP Port also to 80. From the request URI it removes the /MyServiceAppsaml2 part, as defined with the PathTrim option. With PathPrepend the URL is prepended/prefixed with /saml2. javax.security.auth.login.LoginException: [Security:090377]Identity Assertion Failed, weblogic.security.spi.IdentityAssertionException: [Security:090377]Identity Assertion Failed, weblogic.security.spi.IdentityAssertionException: [Security:096537]Assertion is not yet valid (NotBefore condition). To be able to compare the dates of the assertions requests and responses with the server time, it might be handy to have the service provider server run with the same time zone setting. You can do that in the setUserOverrides.cmd/.sh script in the $DOMAIN_HOME/bin folder. Choose which line you want to have uncommented. And make sure that server time is synced with internet or a central time server. Have it adapted regularly. And maybe force it to be updated. The saml2 configuration on Weblogic is not so hard. But the difficulty is in the several layers and different parties involved. But I provided a few extra considerations and solutions here.